Immerse yourself in the delightful wilderness of Sri Lanka as you travel through the scenic Yala National Park, the lush rainforests of Kanneliya and a lovely UNESCO World Heritage Site - Sinharaja. Explore the country's rich heritage as well - visit the historic city of Galle and the majestic Galle fort. Day trip to Kanneliya Rainforest. The Sri Lanka wildlife tour begins in Colombo. You will be received at the airport by our representative and driven to your hotel at Wadduwa (approx 2.5 hours drive). We will spend the next three nights here. Today you can spend the day relaxing. Explore and enjoy the beautiful surroundings. The hotel offers a spectacular view of the sea and stands amidst a cluster of coconut palms that line the area along the water. Today we go on an excursion to Sinharaja. Sinharaja Forest Reserve is a national park and a biodiversity hotspot, recognized by UNESCO as World Heritage Site. The park, covers a small area of about 88 square kilometres but has a rare collection of endemic species, including trees, insects, amphibians, reptiles, birds and mammals. We return to the hotel by evening. After breakfast we depart for Yala Village. We reach Yala after a drive for about 5 hours and stay here for three nights. 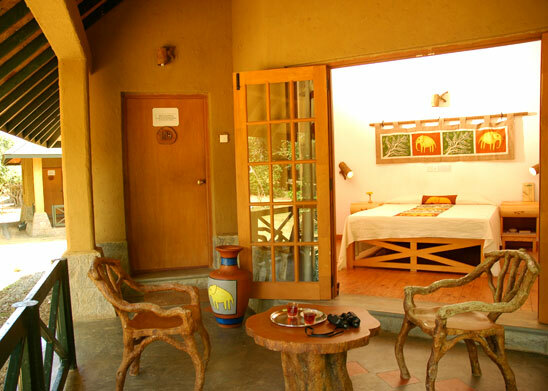 Upon arrival, you check in and can spend the rest of the day at leisure. Today we go on morning and afternoon game drives in Yala National Park. The park, located in the southeast region, is the second largest park in Sri Lanka. 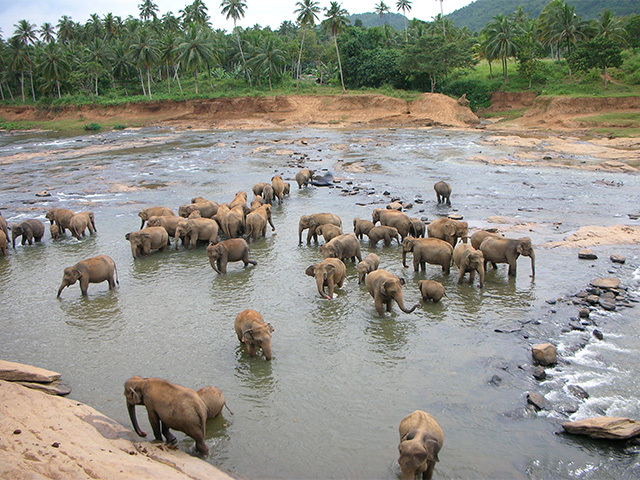 It is famous for its population of Sri Lankan Elephants as well as its aquatic birds. There are also a wide variety of other animals. 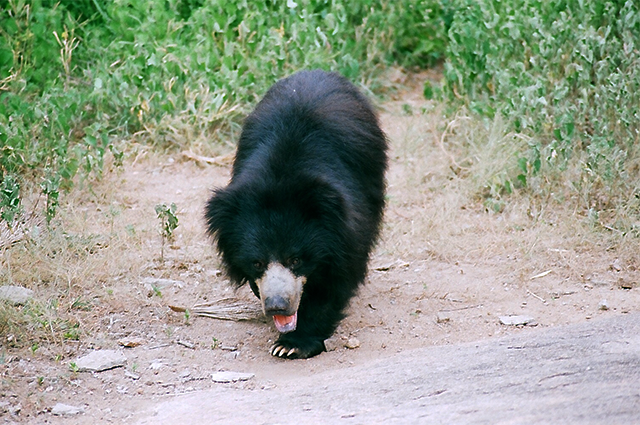 The commonly seen mammals are the Leopard and the Sloth Bear. According to experts, Yala Block 1 has one of the highest densities of Leopards in the world. Yala, therefore, offers one of the best chances in Asia to see and photograph Leopards. This day is spent on morning and afternoon safaris at the Yala National Park. After breakfast, we depart for Galle where we will spend our next four nights. We will be staying at Lighthouse Hotel & Spa, one of five members of the “Small Luxury Hotels of the World” in Sri Lanka. After checking in the hotel around noon, you can spent the rest of the day to your liking. Galle, the capital of Southern Province, is an important city in the southernmost tip of Sri Lanka. The city was occupied by the Portuguese in 1505 and later ruled by the Dutch and the British. It is the best example of a fortified city built by Europeans in south and southeast Asia, showing the interaction between European architectural styles and south Asian traditions. Galle was a prime seaport even as long ago as 1400 B.C. After breakfast, we visit the Dutch Fort in Galle, which is a UNESCO World Heritage Site. The fort was first built by the Portuguese and later when the Dutch conquered the place, it was re-modified during the 17th century. Visit the several Bastians including the Sun, Moon, Star, Zwart other Bastians. We come back to our hotel by the evening. Spend the evening lazing out in your balcony, sipping a glass of champagne and watching the sky changes its color. After breakfast, we embark on a half day excursion to Kanneliya Rainforest. We reach the forest after a drive of 45 mins. This is an excellent forest reserve of logged secondary forest and virgin forest. There is a wide access track and open forest allowing good views into the interior. We return to the hotel by lunch time. Today, shortly after breakfast, we start our journey back to Colombo. We drive for 3 hours to reach Galle Face Hotel, Colombo and stay here for the night. The Galle Face Hotel, built in 1864 during colonial times, is one of Sri Lanka’s oldest hotels, provides unparalleled views of the Indian Ocean. The hotel is an ideal destination for relaxation and offers the perfect blend of Sri Lankan hospitality and colonial aestheticism. Please Note : Accommodation providers are subject to change without notice. The accommodations listed in this dossier are our preferred suppliers, but sometimes due to availability issues, we are unable to make use of the properties listed in this dossier. If we cannot use an accommodation provider as listed we will substitute another property of similar standards.